Beneath the surface of a medieval manuscript, conservators have discovered lost texts and diagrams by Archimedes, showing how far ahead of his time the ancient scientist was. 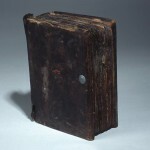 On October 29, 1998, a 13th-century Greek Orthodox prayer book came up for sale at Christie’s New York. Its pages were blackened with mold, its edges charred as if by fire, and yet it fetched $2 million dollars. 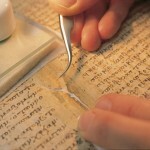 Since that day, conservators, manuscript experts, historians and scientists from around the globe have worked to stabilize and investigate this humble-looking volume, which merits such painstaking care because it is a palimpsest—an erased and overwritten document—of profound cultural importance. 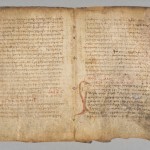 Hidden beneath the book’s neatly written columns of prayers, one can discern faint traces of a much older text, the only extant copy (made in the 10th century A.D.) of essential works by the ancient Greek scientist and mathematician Archimedes (circa 287–212 B.C. ), providing insights into his thinking available nowhere else. 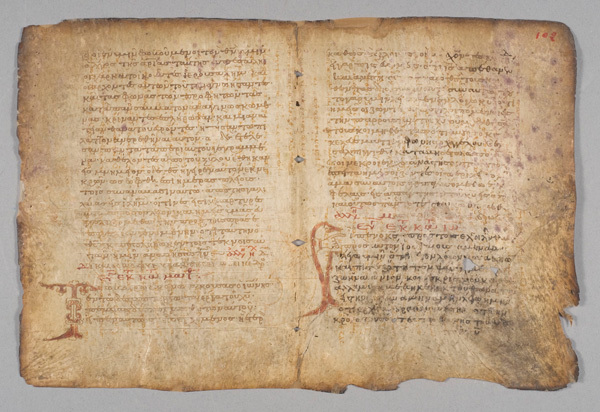 Parchment, a versatile writing surface prepared from dried animal hide, is extremely durable and can withstand centuries of active use in books or manuscripts. But when it gets wet or is stored under damp conditions, it becomes susceptible to various species of microorganisms, including mold and fungi, which feast on dead organic matter. Mold had so seriously degraded the Archimedes Palimpsest that Noel feared it would disintegrate in his hands when he first examined it in 1999. Although the damaging effects of mold cannot be reversed, Quandt was able to halt the progress of the destruction. And by making innumerable, almost invisible, repairs to the individual pages, she insured the physical integrity of the Palimpsest for future generations. Although the whereabouts of the Archimedes Palimpsest were a mystery during much of the latter half of the 20th century, it had already been identified as an important text in 1906, when it was examined by the renowned Danish historian Johan Ludvig Heiberg. Using the naked eye, simple magnifying devices and black-and-white reference photographs, Heiberg was able to decipher and transcribe substantial portions of the Archimedes text, which he published to great acclaim. But impressive though this accomplishment was, Heiberg had to work with the bound book and therefore could not read any of the sections hidden in the gutter. And he did not have access to any of the advanced technologies, such as ultraviolet, multispectral and x-ray imaging, that Noel and his team would be able to deploy. “Different kinds of light let you see different aspects of the Palimpsest,” says Noel. Computers allowed the images produced by differing wavelengths of light to be consolidated into various composite views, making possible a nuanced and layered analysis of the erased and overwritten text. These initial discoveries soon led to larger finds. The Palimpsest’s text of Archimedes’ Method, a work that survives nowhere else, shows that Archimedes, in the third century B.C., already possessed a sophisticated understanding of the mathematics of infinity that would not be arrived at again until approximately 1900 years later, when Newton and Leibniz developed the calculus. 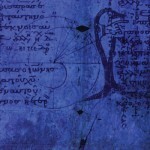 The Palimpsest’s unique version of another work, the Stomachion, shows Archimedes employing the principles of combinatorics, an important discipline in modern mathematics hitherto unseen in any surviving text from the ancient world. Noel and Netz give a fuller account of these and other revelations in their book The Archimedes Codex (Da Capo Press, $18), which offers a detailed look at the methodology and accomplishments of the Archimedes Palimpsest Project as a whole. In addition, many fascinating images and video clips relating to the project can be found online at www.archimedespalimpsest.org.